Are you interested in writing children’s books? Are you keen to learn about the different genres? Do you want to find out how to get published? 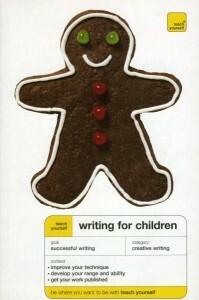 Writing for Children is the ideal practical handbook for any aspiring writer of children’s books. Drawing on their own experiences, the authors offer you professional insights into the process of writing for children. Key points are demonstrated with examples from non-fiction to the latest “cross-over” titles, while each chapter gives exercises allowing you to apply your knowledge and refine your skills. Allan Frewin Jones is a full-time writer of children’s books and Lesley Pollinger is an author’s agent.